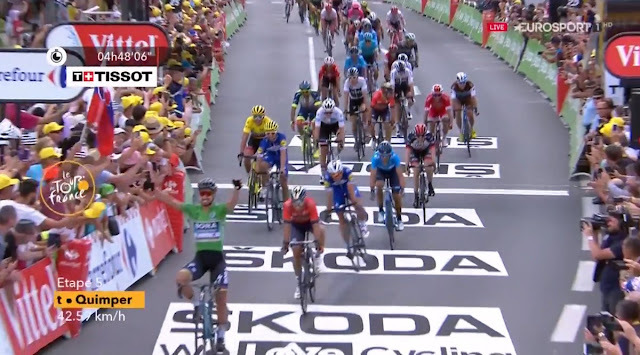 It is now 2-2 between Fernando Gaviria and Peter Sagan. Sagan was untouchable in Quimper. "It was 30 points I think (for the win), better than nothing. Tomorrow is another day."